Over the years I’ve caught bass fishing at many truly wonderful locations, and I have cast baits and lures targeting bass pretty much throughout their entire range of distribution. I’ve had success catching bass from countless rock, surf and estuary marks throughout The British Isles and Ireland, and similarly I’ve caught plenty in Jersey, Guernsey, Alderney and off Herm and Sark. I have even caught bass in the extreme far north of Scotland, having caught several one night while fishing the spectacular surf beach at Dunnet Bay, just a stones throw from John O’ Gaunts. Further a field still, I’ve caught bass within the vast commercial expanse and industrial sprawl that is the Europort complex at Rotterdam in Holland, and I’ve caught bass fishing the fierce tide rips and submerged reefs that surround the diminutive yet stunningly beautiful group of islands and jagged rocks known as Les Ecrehous, located midway between Jersey and France. As inspiring as all of these places have been, without a doubt the location I am going to tell you about here was the most exotic. Imagine the scene: you are drifting just a short distance offshore, breathing in the warm, tropical air as you soak up the late afternoon sunshine. Occasionally as you stand in the bow of a small boat, casting diving plugs as you fish, you catch a mouth watering whiff and the delicious aroma of food rich in exotic spices being cooked somewhere on the adjacent land. You concentrate on working those lures around the boils and breaking white caps that mark the many submerged rocks and reefs in the area, and on each headland and exposed rock you have fished you have seen local fishermen wearing unfamiliar clothes, fishing with ridiculously long fishing poles to catch mullet and bream. Apart from the sound of the breaking surf, its wonderfully quiet and calm, until suddenly the haunting call of a Muezzin calling the Islamic faithful to prayer from the Minaret of a distant mosque carries across the water: welcome to bass fishing in Morocco! 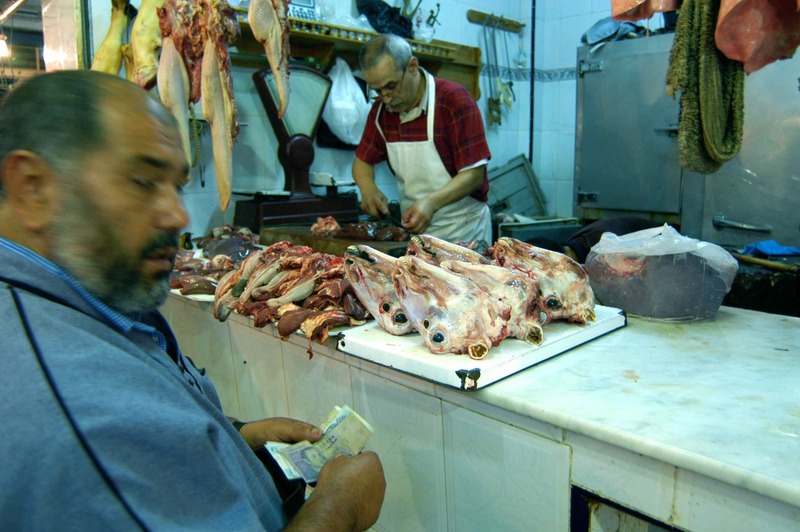 When first I was offered the opportunity to fish in Morocco I wasn’t really sure what to expect. 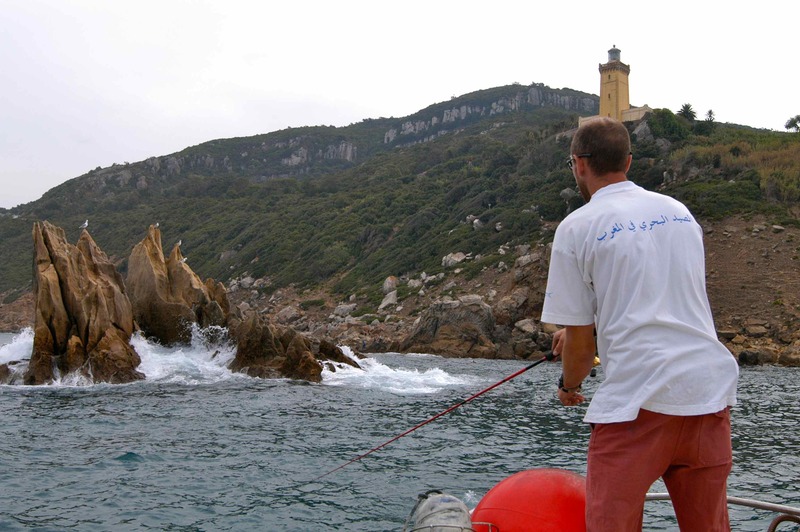 Yes I knew there was a reliable white marlin fishery off Casablanca, and I’d heard of some decent surf fishing along Morocco’s Atlantic coast, along with good freshwater black bass fishing in numerous rivers and dams. On this trip I was told I’d be based in Tanger on the southern shores of the Straights of Gibraltar, within sight of Europe, and that my target species would include numerous species of sea bream, and bass. Following a short two and a half hour direct flight from London I found myself in North Africa. I was met by Said Berrada and Gaetan Herve my hosts from ‘Tanger Fishing Odyssey’, and they had greeted me with the welcome news that the fishing of late had been good. 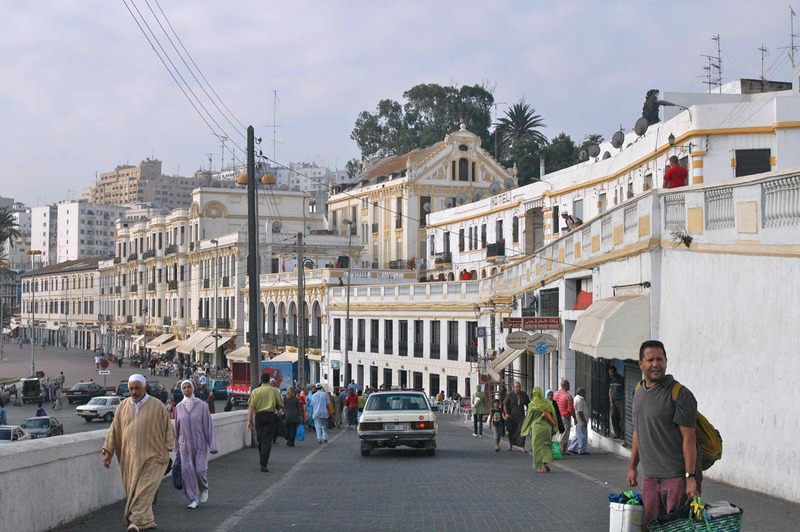 The following morning we set off early, easing our way out of the organised chaos and filth of Tanger Harbour and heading west towards the Atlantic coast, which begins where the straights end at Cap Spartel. It was a remote and sparsely populated area, much of it covered in pine forest, the headland itself clearly marked by a lighthouse. As we cruised along the coast I was told that a typical days bass fishing here followed a two-pronged approached split between jigging and casting lures. We would be starting off jigging, where in addition to bass our target species included various species of grouper and bonito and the much prized dentex bream, a species I was particularly keen to catch. We fished hard working a variety of lures at several marks, yet apart from one trigger fish that somehow managed to attach itself to a large rubber shad mounted on a jig head we failed to catch. Originally from Brittany, Gaetan is an obsessive bass angler. Eventually he suggested a switch from jigs to casting plugs, which for an hour or so we fished somewhat unsuccessfully at various marks along the coast. He turned the ignition key and the big outboard engine roared into life, and in his thick French accent announced; “Next, Dave, we will go and fish, how do you say, the arse of the bay!” “The arse of the bay,” I replied barely able to stop myself from laughing out loud! 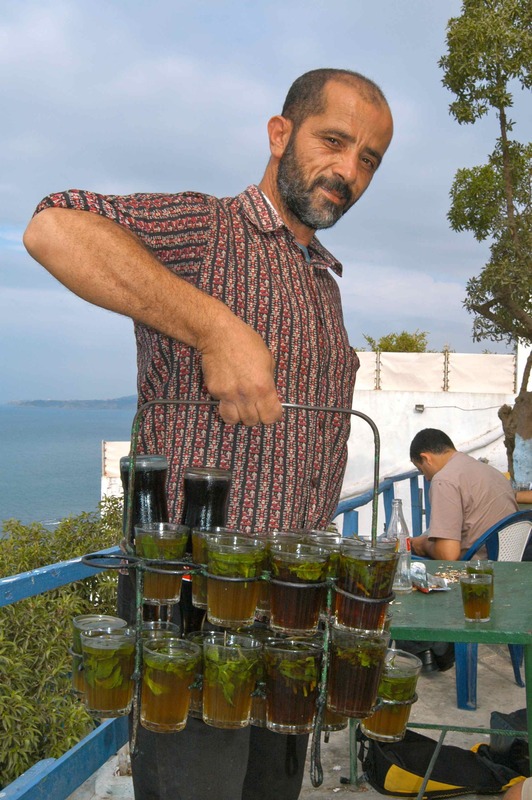 “Yes the arse of the bay, you know, the far side of the bay, the opposite side of Tanger Bay from the port! So we set off at high speed to fish the’ backside’ of Tanger Bay, a desolate and despite the name not an unattractive place. It consisted of a series of sandy bays, rocky outcrops and numerous reefs and isolated boulders, all of which could be seen clearly in the clear water; classic plugging ground, and our diving minnows were met with almost instant success. It was Gaetan who hooked the first fish, on a white shallow diving stick bait. We were drifting a perfect line parallel to the adjacent coastline, a drift that took us to within comfortable casting range of numerous obvious fish holding and feeding spots. As we drifted into range of one particular boulder over which a gentle swell was breaking in a snowy white fringe of surf, Gaetan fired his lure into the backwash, snapped the reel bail shut and barely had chance to crank the handle before the tip of his rod was pulled savagely over. Gaetan played what clearly was a very good fish with the skill and patience of the experienced bass angler. He knew that in all probability the fish could be very lightly hooked, and that excessive pressure would surely lose it. His patience paid off, and after about five minutes he reached out and slid the net under the first African bass I had ever seen; a fin perfect slab of chrome flanked, silver that would have weighed around 7-8lb. My first bass, albeit less than half the size of Gaetan’s, came soon after starting the very next drift, and having finally found feeding fish we enjoyed an afternoons fishing where each cast you never knew whether you would hook a bass or small barracuda: bass fishing in Africa is a unique experience. The following day we planned to try something different, and first thing in the morning we drove to the local fish market. Located in an ancient building in the towns old quarter, the market was alive with a seething throng of traders and customers, and apart from admiring the many displays of fish we bought some live razorfish and freshly caught mackerel and squid for bait; today we would be fishing for bream. HOW ABOUT A SHEEPS HEAD! had a bite and missed it! 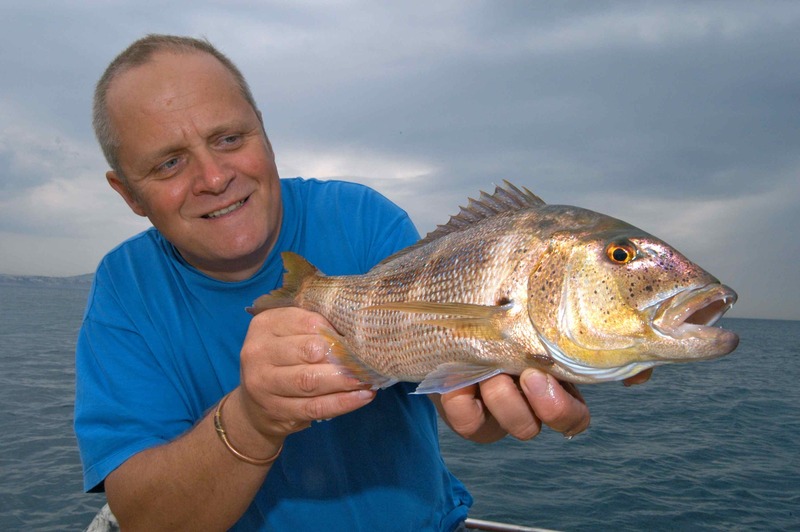 The most numerous species we caught were spectacularly marked two-banded bream, but we also caught good numbers of black bream, saddled bream and various species of wrasse. 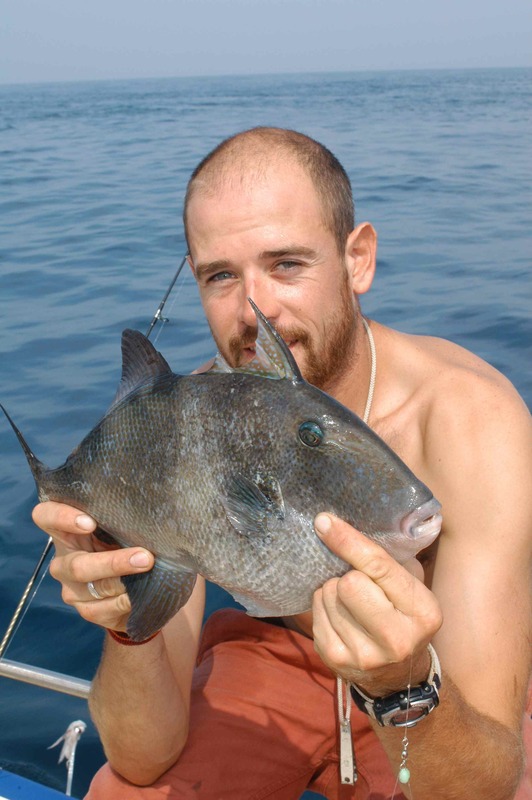 Then the trigger fish moved in, and for a while every drop down produced either a single or double shot of big, dogged fighting triggers that invariably were accompanied all the way to the net by up to half a dozen inquisitive shoal mates. 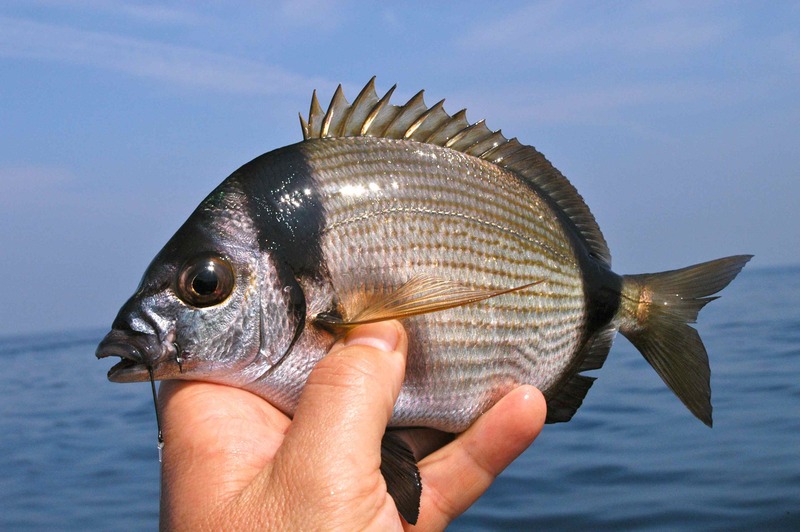 It was an action packed session, precisely the sort of light tackle, hands on fishing I love, yet try as I might, I could not catch the one species of bream I had really wanted to add to my life list on this trip; the dentex. I was due to fly home the following afternoon, and when offered the opportunity of a couple of hours fishing plugs in the morning I jumped at it. I woke and looked out across the bay to see that a strong, cold, northerly wind had kicked up overnight, colouring the inshore waters. When we met Gaetan predicted this would probably put the bass off the feed in shallow water, and for the first hour or so as we plugged away, in all honesty I thought we were pretty much going through the motions while waiting for the time to drive the short distance to the airport, so you can imagine my surprise when suddenly something snatched my plug off the surface! We were back at ‘the arse of the bay’, working the area that had produced the bass. I suppose it is not surprising that throughout the fight I was convinced I’d hooked a bass. It felt like a good one too, stripping line from the reel on two or three powerful runs. As Gaetan stood by with the net I was quietly pleased at the opportunity of finishing the trip with a good fish, so you can imagine my surprise and absolute delight when he leant out and scooped my first dentex bream aboard! At around two pound in weight it was no monster, indeed it was significantly smaller than the average for the species-dentex regularly weigh it well into double figures, but I was delighted. Sorry for the delay in reply, I have somehow missed it! Very keen to know what kinda lures youd recommend..Any patterns in particular..? Can I buy lures etc in local towns…Cant wait to go..Regards Dorian..
Hi. I’m gonna be in Kenitra planning on fishing in Mehdia beach. Any one fished or any information on that area. Hi, My name is Phil Moyse from Plymouth. Bass fisherman of old. 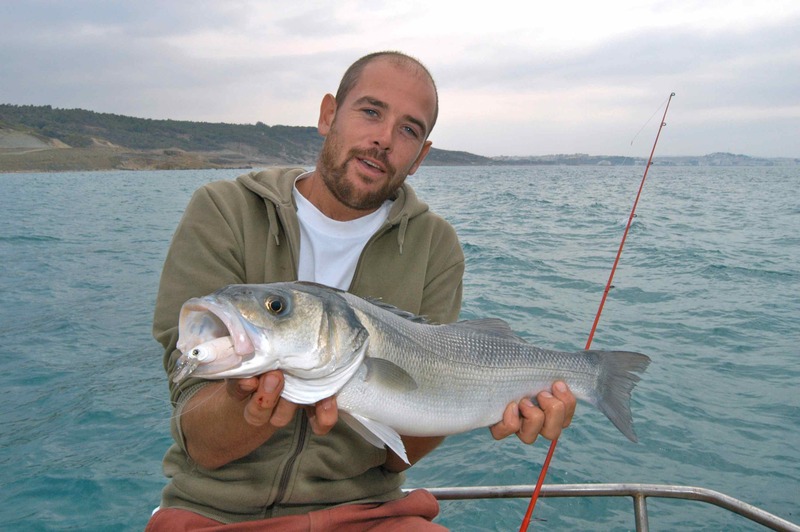 I am interested in going to Agadir/Sidi Ifni to hunt bass. Do you know the season or is it all year? 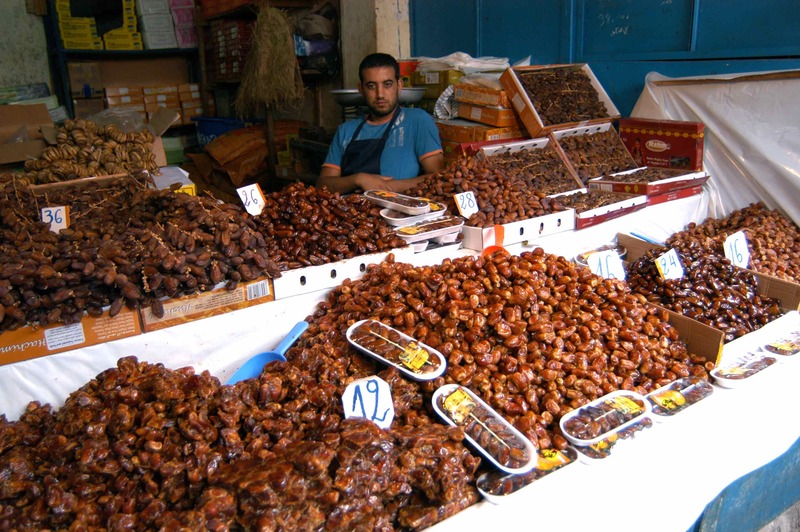 Nothing in Morocco, but there must be some, let me know should ever you find any! Best land based shark fishing without a doubt is Namibia, check out my story under ‘Memorable Trips’.